The lost art of the television movie? Today I thought I would focus on the much-maligned made-for-TV-movie. For years dominated by WomJeps (that’s women-in-jeopardy movies to you and me) the TV movie is a misunderstood animal. At its worst it’s characterised by melodramatic stories, below-par acting and shoddy production values. But TV movies have also given us some classics. Here are some examples chosen to show you a broad cross-section and history of this overlooked art form. No SFX required. Just great characters. Jack Palance chews up the scenery as only he could in this Rod Serling teleplay about a washed-up boxer. Yes, he of the Twilight Zone. Before he became forever associated with breaking the fourth wall in creepy tales, Serling was a heavywight himself in the world of playwrights. This is arguably one of his greatest efforts. 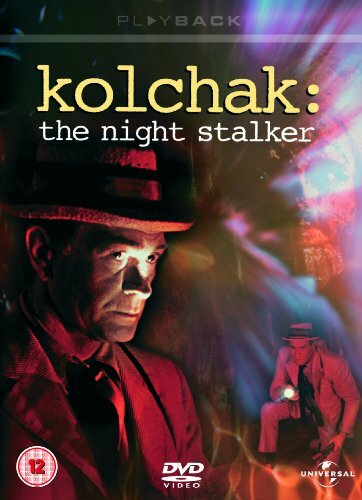 Darren McGaven shines as abrasive but likeable reporter Carl Kolchak in the first of the character’s outings. The second most popular telefilm of all time (the honour of being the first goes to The Love Boat), McGavin and his long-suffering editor track down a vampire in Las Vegas. Screenwriter Richard Matheson, one of the greatest fantasists of the 20th century, sets up many of the reworkings of the modern vampire story that have become staples of the genre today. The film was so successful it spawned a (pretty good) sequel, “The Night Strangler” and a television series that has special effects so poor it is best reserved for fans of McGavin . Features a particularly creepy ending. Yes, it’s directed by THAT Stephen Spielberg. From a script by Richard Matheson (again) and featuring popular TV actor Dennis Weaver, this is 70s TV personified. A nameless truck driver hunts a hapless motorists along the desert for no good reason. SPOLIER ALERT! Features Spielberg’s characteristic” roaring shark” sound when the trucker gets his comeuppance at the end. Spielberg was on a roll in 1972. This curiosity features Darren McGaven again as a man whose family is targeted by an unholy presence when they purchase a farm with “something evil” in the barn. Genuinely creepy, especially the two glowing eyes. Has that great blend of realism and the supernatural that characterizes 1970s horror. One of the great things about TV movies was that nobody really cared too much about getting things right. Lacking the immense budgets of today’s productions, they were enticements to audiences to stay home rather than go to the movies. The results were some genuine oddities, such as this little horror gem.Recently remade by Guillermo Del Torro, who is obviously one of the movie’s legions of fans. A tip, don’t watch it in the house alone. A post-Star Trek Shatner stars alongside a cavalcade of 1970s TV royalty that includes Chuck Connors, Buddy Ebsen and Paul Winfield. A spooky tale of a ghost on an airplane. ’70s television had such a strong lineup of character actors that they could fill out an entire movie. In this made-for-TV shocker, the actors sell the not-so-special effects. From the strange to the downright crazy. A bulldozer (yes, you heard right) is taken over by an alien lifeform. Construction workers wisely wait for it to run out of gas. But wait, they’re on an island and there’s no cover! Wickedly entertaining hokum from a story by sci-fi legend Theodore Sturgeon. When Spielberg and Lucas created the summer blockbuster, TV producers were quick to emulate them. This TV horror movie, for instance, is actually Jaws with Bigfoot. And for that, it works incredibly well. Just as we found out in Lucas’s reissue of The Empire Strikes Back “Special Edition”, seeing more is not always a good thing. It pays to hide your Bigfoot. During this fright-fest we barely glimpse more than a hairy arm or a snorting nostril, but the result is a growing atmospere of suspense and dread that’s hard to beat. TV’s answer to Star Wars was also to create something similar. So here we have the Book of Mormon… in space! Managing to be both campy and portentous at the same time, this capitalized on the groundbreaking SFX that had made George Lucas an overnight success. Coupled with iconic costumes, ships, and sets, and some suitable gravitas from Lorne Greene, the movie paved the way for a TV series that has stood the test of time. TV movies could also tread more psychological turf than movies, which were becoming increasingly gimmicky and SFX driven in the late 1970s. Here Sally Fields excells as a woman with multiple-personality disorder. The piece is not just a character study, it’s a study of many characters, and Fields shows off her acting chops in a varierty of personalities. Another function of the TV movie was to test the waters for upcoming series. Shows such as Hawaii Five-O and the Six Million Dollar Man all had movie-length pilots. But few are so successful they go on to have a theatrical release. 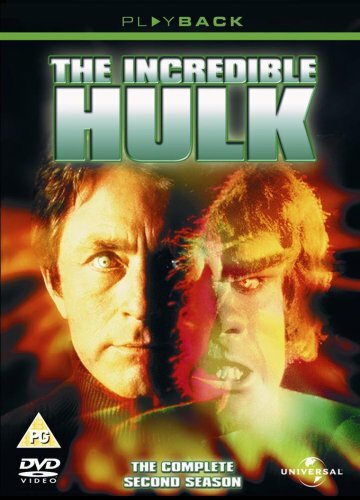 In 1978, the top TV show in the world was the Incredible Hulk. Bruce Banner was played with sensitivity and emotion by actor Bill Bixy, while his alter ego was played by bodybuilder Lou Ferrigno in green slippers. 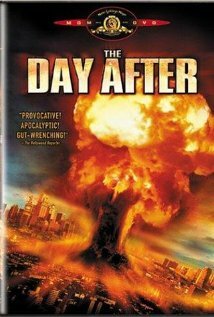 Although not as gut-wrenchingly scary as the British 1984 TV movie “Threads” (see other post), this portrayal of nuclear armageddon is a contendor for one of the most watched TV movies ever. Told with realism, this grim tale gets ever grimmer as the true scale of a nuclear war is realized. People are either vaporized or survive to face all the horrors of radiation sickness and survival in the ruins of the old world. A good example of the kind of epic storytelling on a budget that TV can achieve. The end of the world as we know it. But will you be feeling fine? The TV movie fell out of vogue in the 1980s. TV itself lapsed into sitcoms, rather than try to compete with the ever-balooning budgets of blockbuster movies. But every so often a low-budget gem emerged. One of these is The Haunted, a very scary tale about a family who buy a haunted duplex. Like every sensible family, they move out at the first sign of ghostly phenomenon. But in a clever twist, the ghost follows them. Based on a true story, for added creepiness. That would have been the end of our tale. An increasing number of TV channels did not equate to an increase in quality. In the 90s and 2000s, TV instead chose to churn out poorly-made, poorly-scripted and poorly-acted creature features using the ultimate tool for the lazy filmmaker, CGI. Soon our screens were filled with unconvincing CGI mammoths, sabretooths and giant crocodiles. Meanwhile the dramatic TV movie became the womjep we know and revile today. Sabretooths and crocodiles and sharks.. oh, dear! Who would have though that in in this day and age a movie made by HBO would become a popular and critical success at the box office? Espeically when you consider the source material. But this Liberace biopic is doing just that. So maybe the TV movie isn’t dead. We’ve had the Renaissance of TV drama. Perhaps now it’s time to resurrect this forgotten art form as well. This entry was posted in Uncategorized and tagged film, Hollywood, horror, low-budget, movies, sci-fi, science-fiction, screenwriting, show, story, teleplay, television, tv movie on June 18, 2013 by Eric Ian Steele.